Most people who know me, know that I am a conference junkie – I go to as many conferences as my schedule and budget will allow. Those of you headed to BlogWorld don’t need convincing of the benefits of being at conferences: the networking, the learning opportunities, the networking, the PR bump, and… the networking. Most of the authors who write for my blog network don’t go to conferences – and this year, I decided I wanted to change that. I’ve given my team hours and hours of blogging and business training – but in the end, they are mostly just learning from one person – me. Bringing them to a conference would allow them to learn so much more from a completely diverse group of experts. Choosing which conference to bring them to was pretty much a no-brainer. 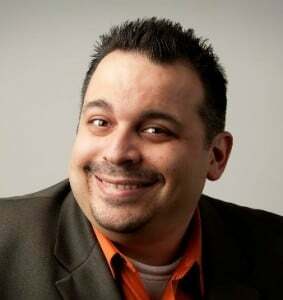 While other conferences like BlogHer and SOBCon are phenomenal events – whenever anyone asks me for a recommendation on which conference to attend, I tell them that BlogWorld is a must attend event. My team is very diverse in both topic coverage and skill sets. Some I’d call intermediate bloggers, some I’d call advanced bloggers. Some are new media experts, some are mommy blogging experts. BlogWorld is simply the ONE conference I could bring them to in which every single one of my authors would walk away from it with tremendous value. The project isn’t just great training for my team – to have 12 people at the show live blogging and with Flip Video cameras is a huge opportunity for us. We’ll probably blog more in our three days in Vegas than we have in the last month. Plus having a brand-name sponsor like Epson opens a lot of doors for us, both now and in the future. We are a live case study on how a blogger can leverage everything you have into bigger successes. 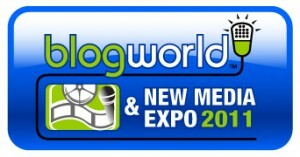 We’ve even set up a brand new blog on our network and a new YouTube channel just for our BlogWorld coverage. We personally can’t wait until we get there. If you see any of us, please stop and introduce yourself – we’d love to talk to you! 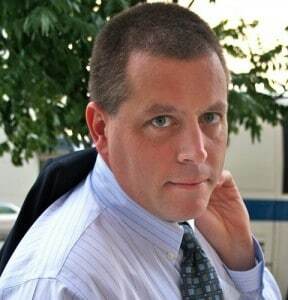 Rick is the CEO & Co-Founder of BlogWorld & New Media Expo. He lives in Canyon Lake with his wife and two dogs Abby and Thor.